Hello there! 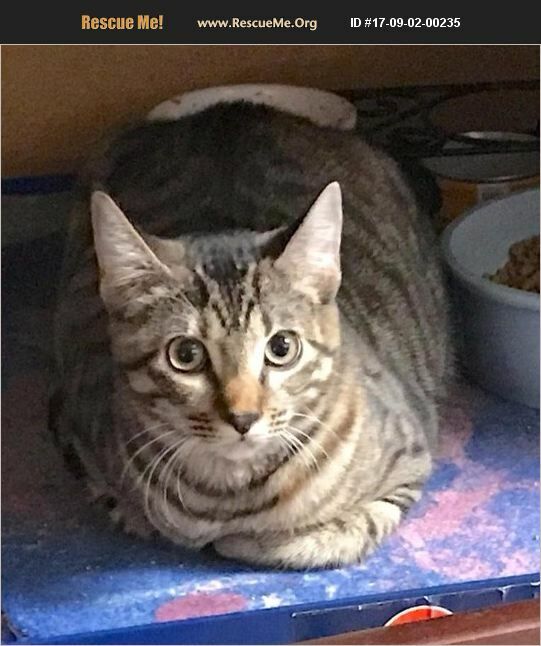 My name is Petal, and I an an affectionate, friendly silver tabby DSH little girl who was born in early June 2017. I'm super sociable, lovable, and flexible like a rag doll. My foster meowmy describes it as 'like putty in your hands -- she just lets you move her around.' My sister Blossom is the same way! We were born to a stray mama cat under a storage shed, and a Good Samaritan hand fed us to tame us. When it was time for us to be weaned, the Samaritan turned us over to our future foster meowmy, who is more experienced in raising kittens. I live happily with adults, kids, big dogs, and other foster cats in my foster home. However, it's time for me to find my lifetime home, which should be easy to find since I would fit into many family situations. Although I'm available individually, it would be great if Blossom and I could be adopted together because we are so bonded. Two is more fun than one, and we can keep each other entertained while you are at work or on vacation! Come meet me today so that you can give me that 'putty-in-your-hands' test! I bet you fall in love with my cherubic face and and undiluted sweetness! Petal is updated on shots, spayed, dewormed, microchipped, FIV/ FeLV negative, and ready for her indoor-only home. No de-clawing permitted. Her adoption fee is $125 for kittens 9 months old and younger, cash or check payable to Buster's Friends. Please click the contact button if you are interested in Petal, and we can let you know exactly where you can meet her. To make the process more efficient, download the adoption application at http://www.bustersfriends.org/catadoptionapplication.shtml. First save and then open it; then you can print it and fill it out.